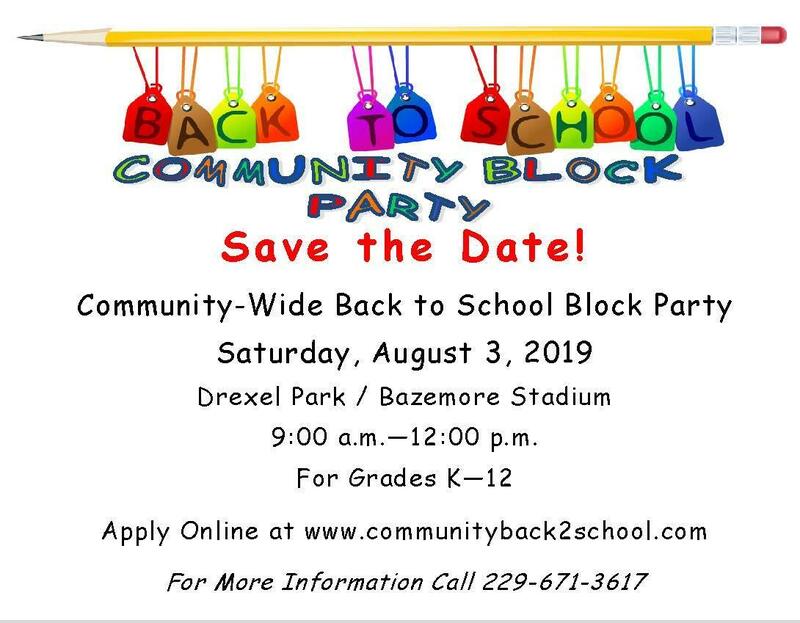 The Community-Wide Back to School Block Party will be held on Saturday, August 3, 2019 from 9:00 a.m.-12:00 p.m. at Drexel Park/Bazemore Stadium for grades K-12. 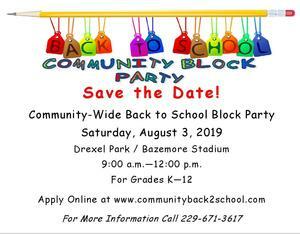 Make sure to apply online at www.communityback2school.com . For more information call 229-671-3617.